The Mabelle After-School Program is a free afterschool program for children ages 6-13 living in the TCH community of Mabelle. With a goal of creating an inclusive space that promote children’s physical and mental health, this program focuses on nutrition, indoor and outdoor recreational activities and homework help/health education. 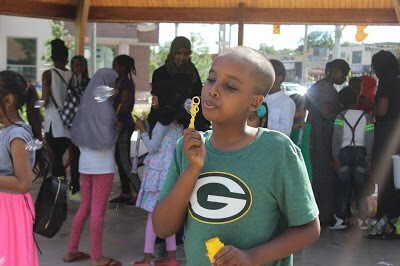 The Mabelle After-School increases self- esteem, promotes physical and emotional well- being, establishes community connections and enhances full academic children living in the Mabelle community. “I love coming here every day after school and seeing my friends. Ayan and Olisa hold it down with us almost every day of the week”.